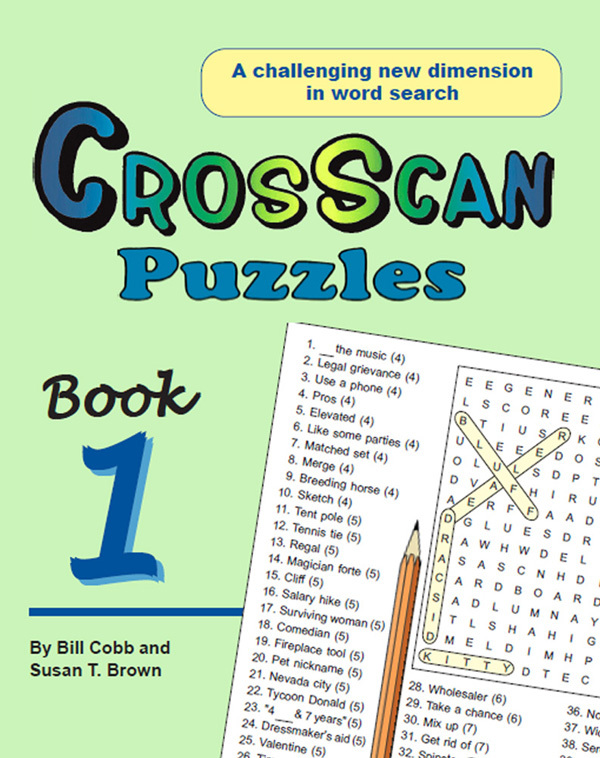 If you enjoy challenging word puzzles, word search, crossword, and trivia, try the free printable puzzles on this website. 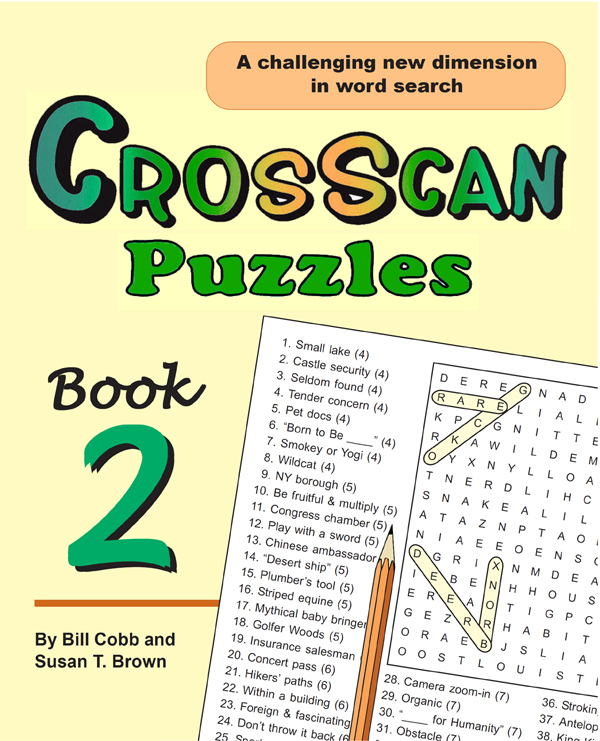 CrosScan is a word search-crossword hybrid. 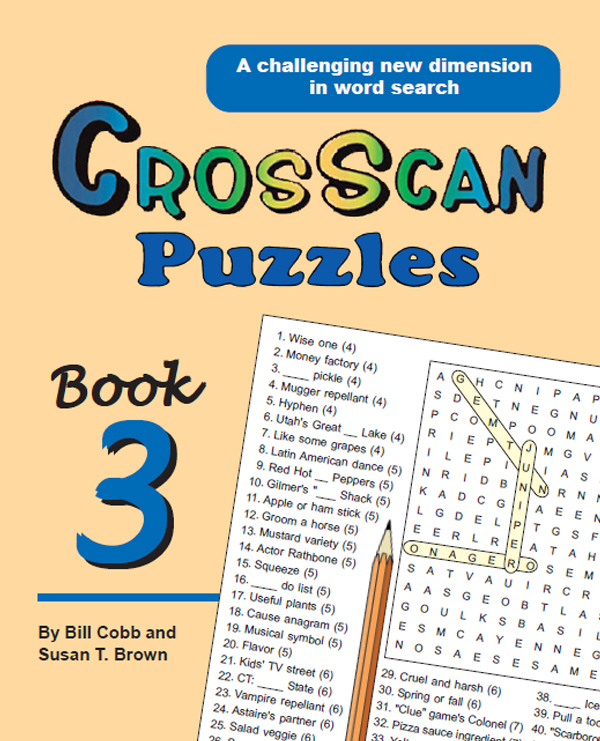 A CrosScan puzzle consists of a letter block and a list of clues. Answers to the clues are found in the letter block. Each puzzle has a theme, and every answer fits into this theme. The theme is hidden through the use of double meanings in the clues, and will gradually emerge as the puzzle is worked. When all the words are found and circled, the leftover letters spell out a short quote relating to the theme. To get a sense of how themes are hidden by clues with double meanings, you might want to try the IQ Topic Challenge. For maximum enjoyment, we strongly recommend that you read the Instructions before beginning. DO NOT start with Clue #1, #2, etc. Visually scan the letter block to discover words. Words can be read backward, forward, up, down, or diagonally. It's a good idea to look for diagonal words first. When you find a word, count the number of letters. Then look at the word list and find the clues which have that number indicated in parentheses. Match the word you found with a clue. Check off the clue, and circle or highlight the word in the letter block. Do not circle a word in the letter block if you can't find a clue to match it. When you find enough words to discover the theme, you should be able to work back and forth, using clues to find words. Hint: Each puzzle contains a “star,” in which words coming from all eight directions meet in one central letter.